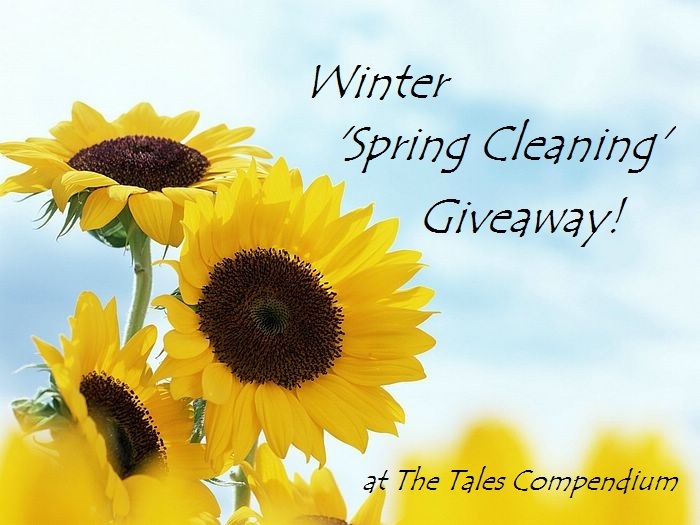 The Tales Compendium: Winter 'Spring Cleaning' Giveaway Update! Over the next few days I will be emailing the winners of my Winter 'Spring Cleaning' Giveaway. If you entered, keep an eye on your inbox because you will only have 48 hours to respond before I select a new winner. Once I have contacted everyone and they have responded, I'll post the winners on here for everyone to see but for now, since the prizes change for each winner, I need to make sure everyone replies first before doing an official announcement. I have just emailed the first Aussie winner who has first pick of the books. Get checking those e-mail's people!